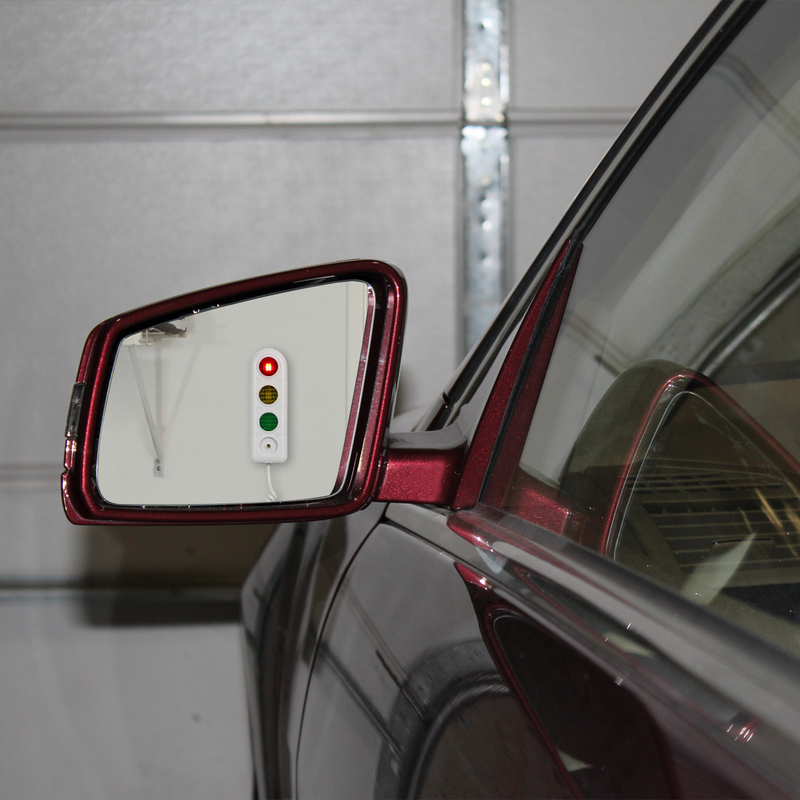 The FIRST ALERT™ SFA275 Parking Alert Sensor is the perfect device for the person that wants an easier time parking in their garage. Just mount the two (2) piece unit on a wall, workbench, or shelf in your garage. The ultrasonic sensor automatically determines the distance to your car's bumper. 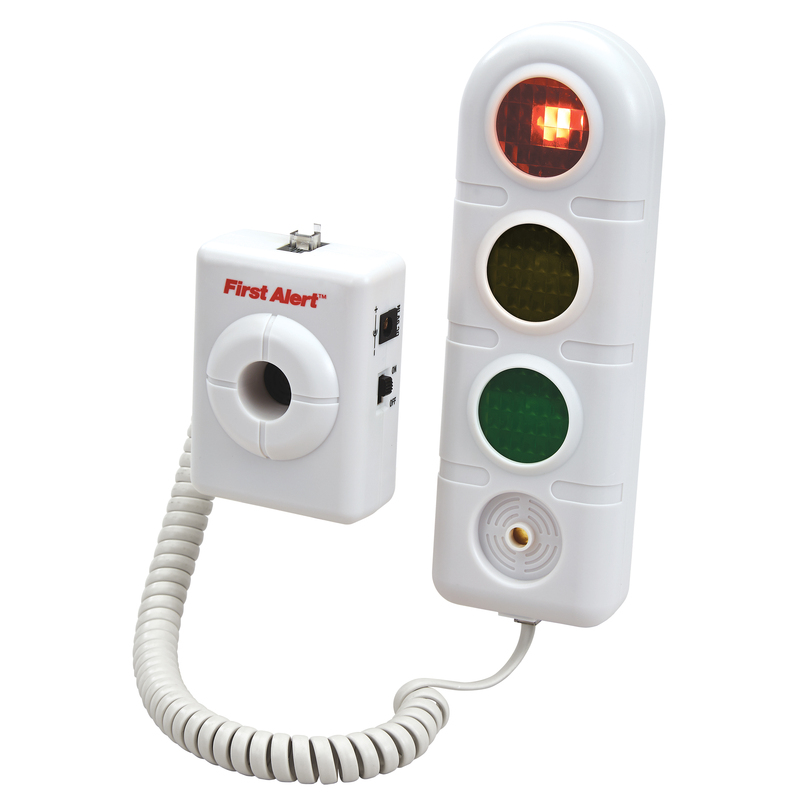 The SFA275 helps guide you into the correct parking space every time using sound and visual (red/yellow/green) traffic light-inspired warnings. 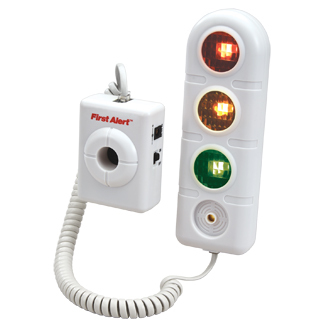 The Green indicator lights when you are within range. 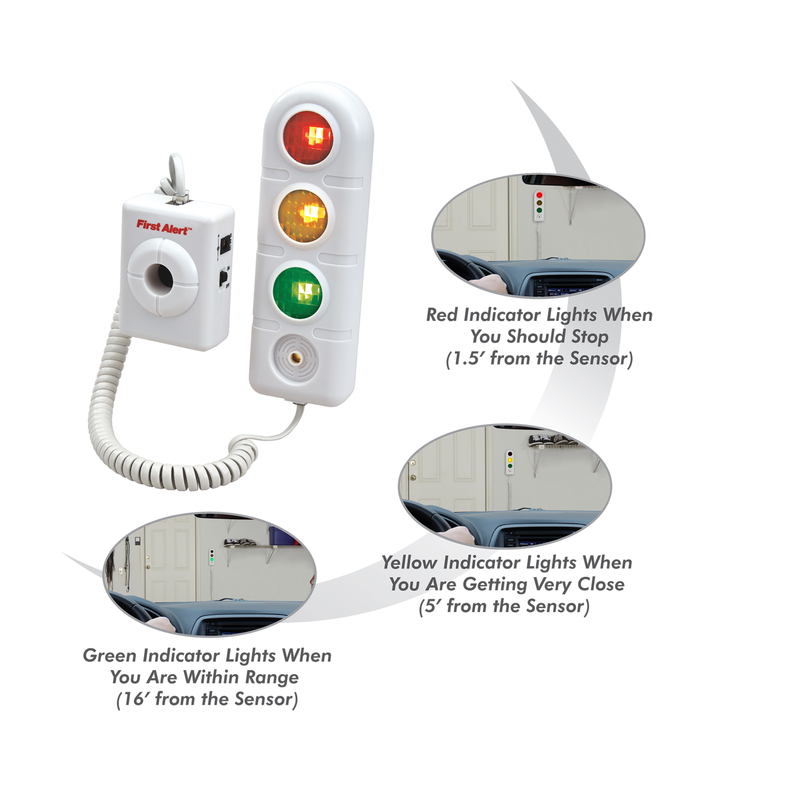 The Yellow indicator lights as you are getting closer to the sensor and the Red indicator lights to warn you that you very close to the sensor and should stop. The SFA275 operates using a 9V battery (not included), or with the AC adapter (included). 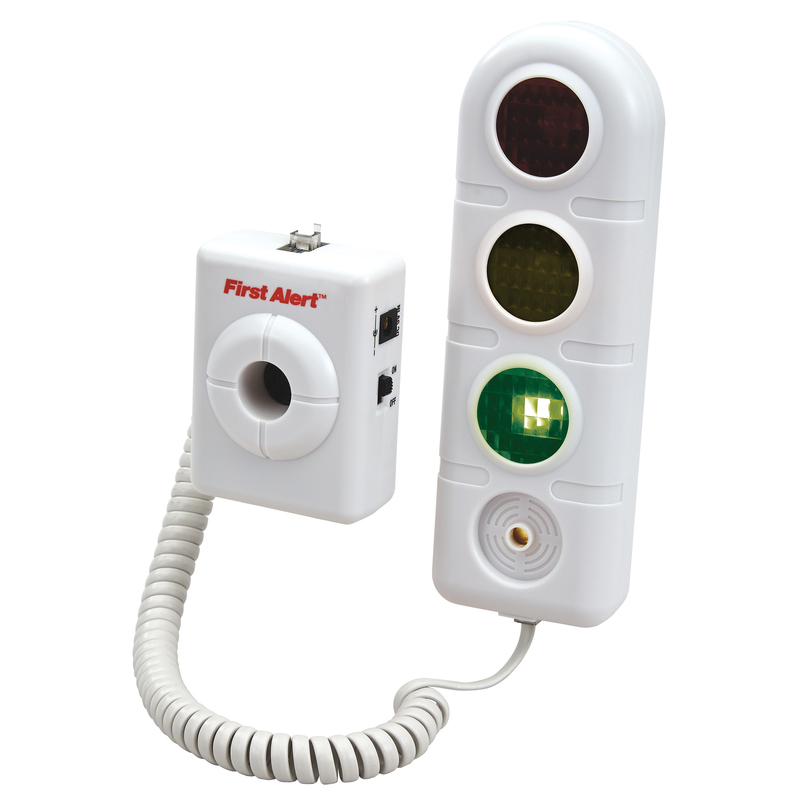 Take the guess work out of parking with the FIRST ALERT SFA275.